You can even start an automatic deployment from your own custom service, by sending a simple JSON payload to your server's webhook endpoint. 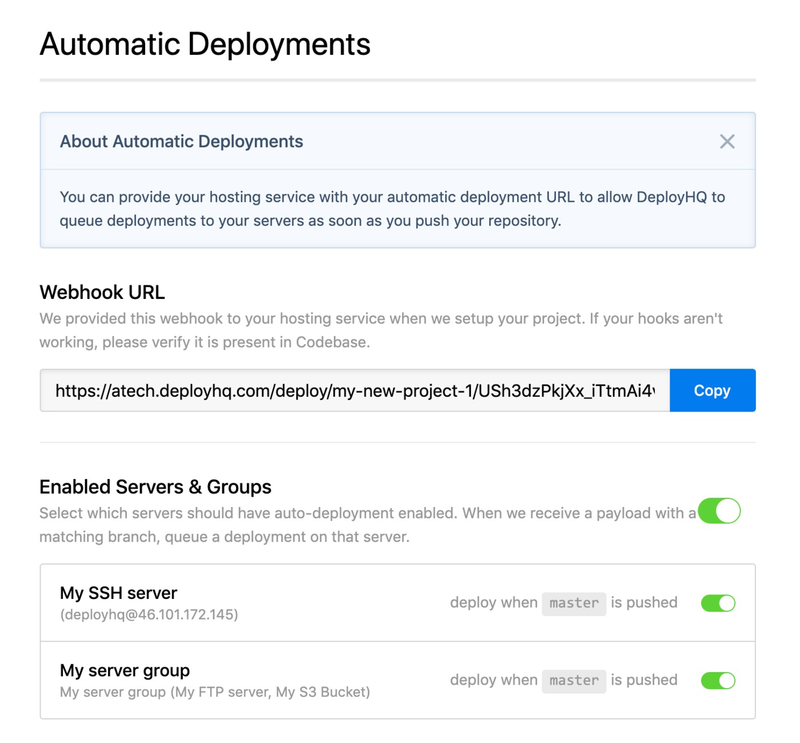 Each project has a unique automatic deployment URL, this is a URL that you can add to your repository as a webhook, so DeployHQ is notified when new commits are pushed to your repository. Once you've added the webhook, you can configure individual servers for automatic deployment as required. Firstly navigate to the Automatic Deployments page on the left hand side in your project, then copy the URL in the middle of the page. Just below, you'll see a list of servers and groups in the project, with a toggle on the right hand side to enable automatic deployments on an individual basis. The automatic deployment process will check the branch configured for your server (the Branch to deploy from) each time a request is posted to the webhook URL. If the branch is found to match, the deployment will be queued, otherwise it will be ignored. 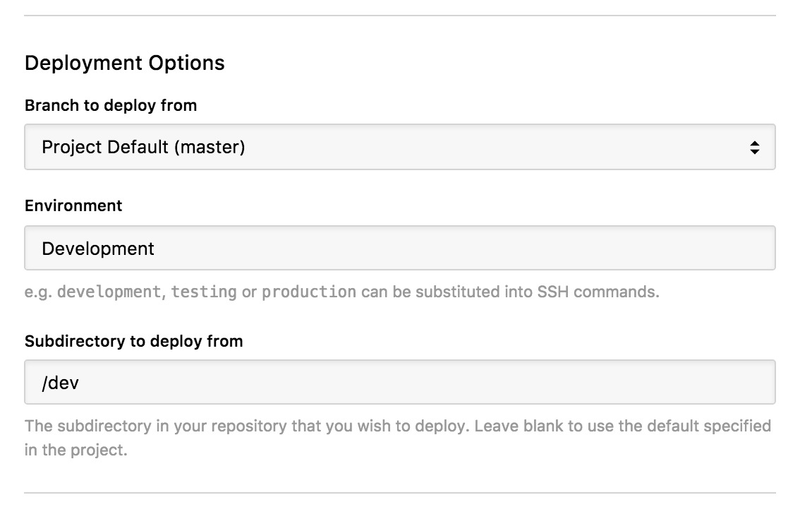 If you wish to change the branch, just navigate to your server settings in DeployHQ, then update the Branch to Deploy from found under Deployment Options.